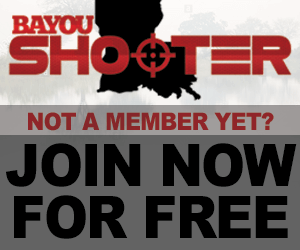 Looking to sell your product or advertise on Bayoushooter.com? Thread: Looking to sell your product or advertise on Bayoushooter.com? If you are looking to sell your personal product and/or services, in which you are the beneficiary of said transaction, then you need to purchase an Advertising Account Package. We encourage you to purchase an Advertisement Account Package for many reasons that will benefit you in the process of selling your product. clicking on the 'Contact Us' link at the bottom of this page.